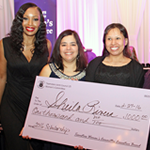 The Teamsters Joint Council 25 Women’s Committee recognized its 2016 scholarship recipients during a night of celebration at the Fourth Annual Gala Dinner Dance on Feb. 27 in Rosemont, Ill. 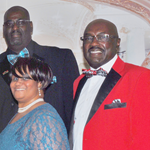 The Executive Board of the Chicago Chapter of the Teamsters National Black Caucus, under the leadership of President Ramon Williams, recently was elected to a new three-year term, which began January 1, 2016. Join the Teamsters Joint Council 25 Women’s Committee for a night of family-friendly fun as the Chicago Wolves hockey team takes on the Rockford Icehogs at 7 p.m. on Saturday, Jan. 30, at Allstate Arena in Rosemont.